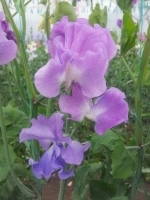 Very large flowers of outstanding exhibition quality. Named after a well respected former vice-president of the National Sweetpea society. Superbly scented.